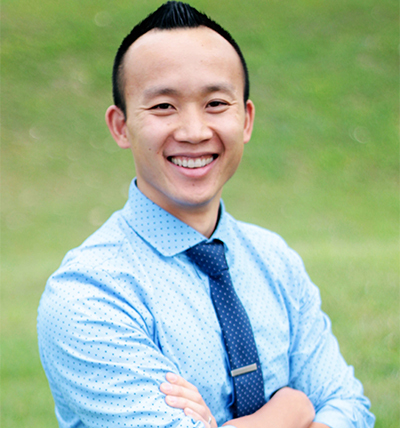 Dr. Patrick was born in a small village outside of GuangZhou, China. He moved to Albany, NY when he was just 6 years old. Dr. Patrick attended Rensselaer Polytechnic Institute, in Troy, NY where he received a Bachelor of Science in Biology. Not sure what Dr. Patrick wanted to do, he explored many options. Dr. Patrick shadowed doctors, surgeons, dentists and finally a chiropractor. He fell in love with the chiropractic philosophy the first time he visited a local chiropractic office. He then decided to attend Palmer College of Chiropractic in Davenport, IA. While at Palmer, Dr. Patrick became the NUCCA Vice-President and later President. Dr. Patrick understands the importance of giving back. He traveled to India with a group of 32 chiropractors, including Dr. Danielle, to adjust and treat over 5,000 people. Dr. Patrick has also volunteered with the YMCA coaching basketball. Prior to moving to Cedar Park to open Symmetry Health Chiropractic Center, Dr. Patrick worked in Zealand, MI with Dr. Stan Dombroski. Dr. Patrick and his wife, Dr. Danielle, chose Cedar Park, TX due to the lack of NUCCA chiropractic in the area. In fact, in the entire state of Texas there are only 9 NUCCA chiropractors. Dr. “Dani” grew up in small town Wisconsin. She received her first chiropractic adjustment from her grandfather before she can even remember! After her grandfather retired, Dr. Dani experienced NUCCA chiropractic for the first time. Even after over a decade of traditional chiropractic maintaining her general health, Dr. Dani noticed a significant difference; she no longer had headaches…at all. 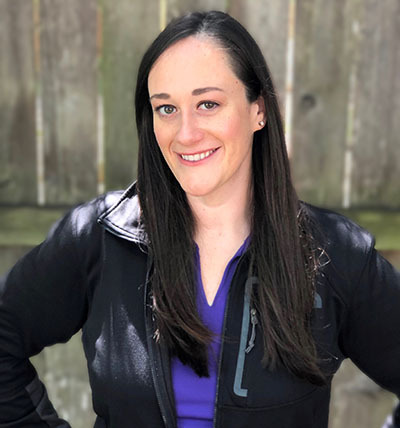 Dr. Dani attended the University of Wisconsin-Eau Claire where she studied kinesiology for three years before joining the early acceptance program at Palmer College of Chiropractic. She finished her Bachelor of Science while simultaneously becoming a Doctor of Chiropractic. Starting chiropractic school, she knew she wanted to study the NUCCA chiropractic technique even though it is regarded as one of the most difficult techniques. Following graduation, Dr. Dani worked at Correction Creek Chiropractic Centre with her cousin, Dr. Dale Strama. In April of 2010, Dr. Dani and her husband, Dr. Pat moved to Cedar Park and opened Symmetry Health Chiropractic. Dr. Justin was born in Houston, Texas but spent most of his life in Northeast Arkansas. He attended Arkansas State University where he Dr. Sullivan was born in a small farming community in Iowa. He grew up active in sports, 4-H, and with the collective help of his three brothers and parents, helped out with the family farm. His oldest brother was getting his PhD from Iowa State in Exercise Physiology and welcomed him into his home and Dr Sullivan open-enrolled to a national powerhouse wrestling program in high school. 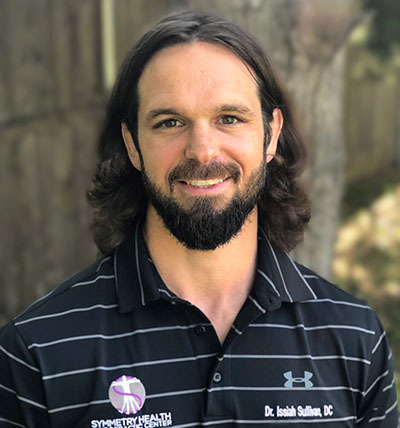 Dr. Sullivan then went on to wrestle for Grand View University in Des Moines, Iowa where he received his bachelors degree in Fitness and Wellness Management. Dr. Sullivan moved down to Dallas, Texas after college and attended Parker University. It is there where he received is Doctorate of Chiropractic degree. Dr. Sullivan has always had strong passion for health and human performance. NUCCA is a measurable and highly effective technique with amazing results. Dr. Sullivan loves the healing power of the body after interference has been removed. 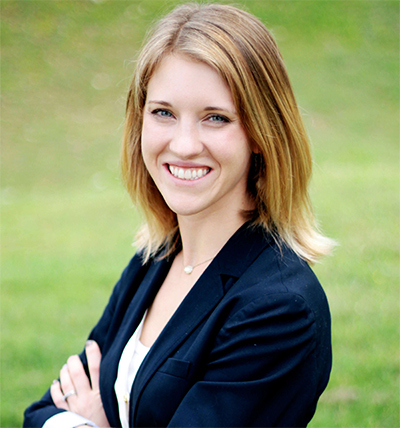 Laura Seals serves as our Office Manager and full time Chiropractic Assistant. Originally from the southeast, Laura recently moved to the Austin area in July, 2018 from Asheville, North Carolina. After receiving her Bachelor’s degree in Fine Arts from Appalachian State University, she later decided to focus her full attention on health and wellness. Her passion began 3 years ago when she decided to dramatically change her lifestyle and concentrate on her health. She first began by giving up smoking, and then started to workout and focus on her nutrition. She has now lost over 100 lbs and is determined to continue working on her short and long term goals. She enjoys working at Symmetry Health Chiropractic because it allows her to help reach out to others that want to take the first step to healing their body, and becoming a better and healthier version of themselves. She loves spending her free time hiking with her dog, traveling and photographing the landscape of Texas. She loves learning about the history and culture of Texas, and has made it a goal to visit all the State Parks in Texas. At Symmetry Health Chiropractic Center, we believe that in addition to chiropractic care, in order to be well, you need to move well, think well, and eat well. We strive to live to this standard and encourage our patients to do so. We recommend exercising at a level that is unique to you. We also provide many opportunities to give back and nutritional education. At Symmetry Health, we truly care not just about our patients, but our whole community. Each summer we hold an annual food drive and each winter we hold a toy drive. This year, Symmetry Health donated over $6,000 worth of chiropractic services in exchange for over 1,000 pounds of food! All food collected was distributed to local families by the Round Rock branch of the Capital Area Food Bank. Throughout the year, Symmetry Health hosts classes on wellness. Dr. Dani and Dr. Pat also give lectures and healthy cooking demos for area organizations. At least twice each year, Symmetry Health brings in Cathy Harvey, an Applied Clinical Nutritionist, to give talks on how to detoxify your body using whole foods. This fall we are also looking forward to adding to our expert speaker list, Lori Fitzgerald, a Nurse Practitioner and Wellness Coach.